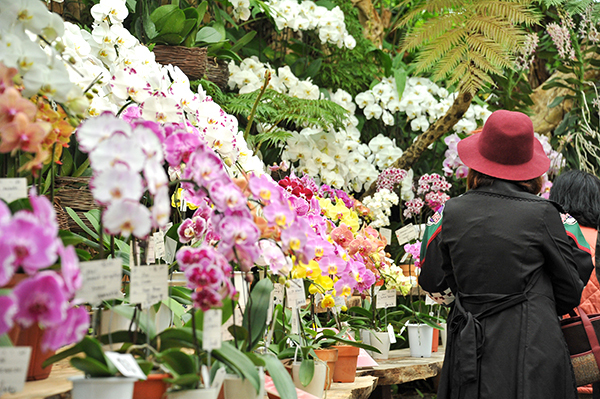 This is the 31st edition of the popular orchid show held annually at Ocean Expo Park. During the event the Tropical Dream Center, featuring three orchid greenhouses, and its environs are transformed into a fascinating world of fragrant orchids under the theme “Yanbaru Flower Festival – the Earliest Spring Flower Paradise.” You can admire about 30,000 colorful and splendid exhibits of orchids from around the world while attending a number of events and activities such as a seminar on orchid cultivation, an ikebana workshop and live music performances. *A half-price entry discount is offered to Okinawa Churaumi Aquarium ticket holders.